FREE Bowling & $10 Funcard At Main Event! 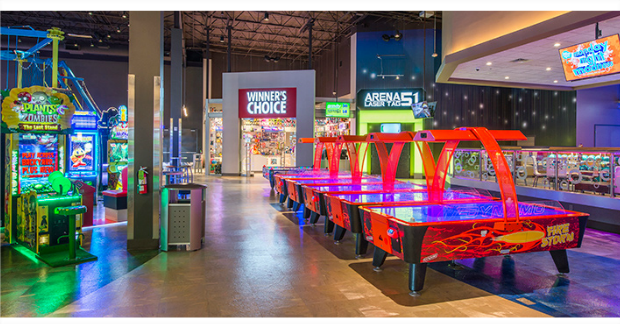 You are here: Home / Dallas/Fort Worth Events / FREE Bowling & $10 Funcard At Main Event! Main Event Declares Oct. 10 National Head for FUNday You can get 1 hour of bowling, $10 FUNcard offered FREE this Monday! Searching for something fun to do on Columbus Day? No need to cross the ocean… There’s a whole New World of entertainment just waiting to be discovered at Main Event! This Monday, Oct. 10, Main Event is inviting fun-seekers of all ages to come by their nearest center between 8 a.m. and noon to enjoy one FREE hour of bowling, awesome-looking bowling shoes included! There’s not one. In fact, they’ll also throw in a FREE $10 FUNcard that can be used on video games, too! That’s why it’s called National Head for FUNday, because Main Event believes everyone should be able to escape the grind and have some fun once in a while. And where better than Main Event Entertainment, the top destination for people ready to play? Main Event’s unique Eat.Bowl.Play. experience features state-of-the-art bowling, multi-level laser tag, interactive and virtual video games, a high ropes adventure course and other fun activities, along with delicious chef-inspired food, creative cocktails, beer and wine. So mark it on your calendars as Main Event makes Monday your FREE FUNday.